This step is to remove dead skin cells. Exfoliation helps the skin look softer and smoother, as it reveals the healthier younger cells that are beneath. It is the beginning of stimulating circulation in the skin. It also means that later steps in the facial will have greater benefits, since your skin will be better able to absorb nutrients and other benefits from the products you apply to the skin. Many ingredients can be used for this step. Salt – sea salt or other quality salts are good here. Salt can help with skin infections and the abrasiveness of the tiny granules help remove the dead skin cells. They are mineral rich… another bonus for the skin. It’s not good for all skin types though. If your skin is sensitive or there are any cuts or chapped skin it will sting. Sometimes the size of the grains is too large and abrasive for some people. to use as an exfoliant, simply add a little bit of water or hydrosol to the salt to bring it to a paste like consistency. Then rub it gently onto the skin in circular motions. Sugar – yes sugar can be good for you! It also comes from plants! Most of us are just using it wrong. 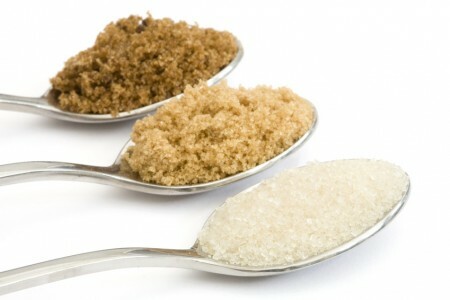 Sugar is nice because it is usually finer (table sugar) than salt and is gentler on sensitive skin. Add a little bit of water or hydrosol to the sugar to bring it to a paste like consistency. Then rub it gently onto the skin in circular motions. Dry cosmetic clays – This is usually much finer and less abrasive than salt or sugar, yet still does a nice job. The very fine, less abrasive nature of these clays makes them a good choice for people with very sensitive skin. Dry, it works quite well on the slightly oily skin caused by the cleansing step. Then rub it gently onto the skin in small circular motions. Ground beans or seeds – With a little bit of water added to them they make another nice choice for those with sensitive skin. Many of them, for example flax, contain phytochemicals that can be soothing and/or nourishing to the skin as well. This can be a fun one to experiment with. Always use freshly ground beans or seeds because the oils in these are subject to oxidation and you want nice fresh healthy things that they contain going on your skin. Use like the other exfoliants above.